Last season, Kyle Seager picked "Corey's brother" as his nickname on the back of his jersey for Players' Weekend. This year, he attempted to fly under the radar, going instead with the vanilla "Seager." He still drew questions. The most pressing question facing Mariners country going into mid-August wasn’t how to reincorporate Robinson Cano back into the team. It wasn’t whether to take Felix Hernandez out of the rotation. 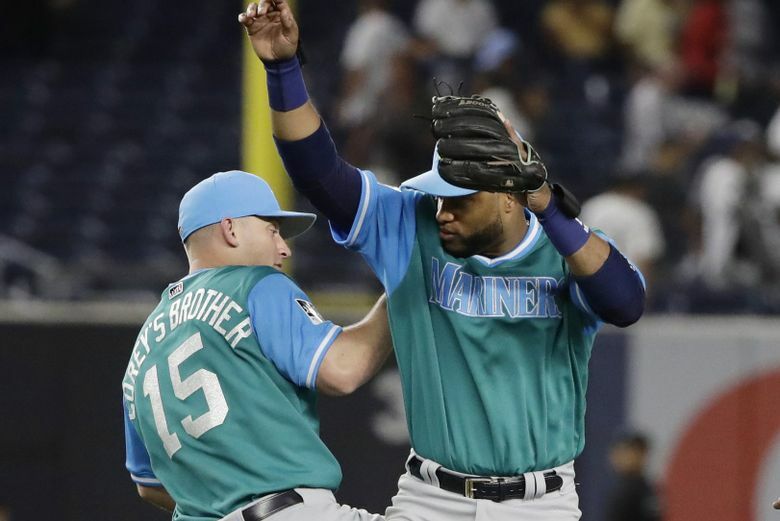 It wasn’t even how to stop the downward spiral of the past five weeks, during which the Mariners have seen their comfortable 11-game lead over the A’s for the second wildcard completely evaporate. In allowing players to show off nicknames, wear T-shirts highlighting charities that matter to them, and don patches with the names of people who helped them make the big leagues, the MLB’s Players’ Weekend, which debuted last year, adds a little flavor and extra dose of personality to the long season that is baseball. And it gives fans the opportunity to learn more about their favorite players, over-analyze the meaning of each choice, and judge the players who cop out and just use their last names. For the Mariners, some nicknames (“King Felix,” “Big Maple,” “Boomstick”) are no-brainers. Some players (Robinson “Nolo”/”Don’t You Know” Cano) decided to spice things up and pick different nicknames than what they had last year. Most disappointingly, Kyle Seager chose not to keep “Corey’s brother” as his nickname and instead went with the uber-creative “Seager.” The third baseman told reporters on Thursday that he didn’t get any hits last season with his nickname and that the media asked him too much about… as he then admitted, “my plan backfired.” Sidenote: “Corey’s brother” last season, as our Ryan Divish reports, was meant to be “Corey’s better,” and MLB wouldn’t allow it. Seager also said that "Corey's Brother" last year was supposed to be "Corey's Better" but MLB wouldn't allow it. Some highlights from this year? Mike Zunino upgraded from “Zunino” to “Z.” Wade LeBlanc is “Frenchy.” There are multiple animals represented with “Black Bear,” “Horse” and “Worm.” James Pazos is back as “Papa Paz.” The roster features both “Bubba” and “Hubba Hubba” (??? ).